Unselfish Self-Care Webinar Workshop coming soon! The holidays are fast approaching! That is joyous, exciting news, but if your family is anything like mine, that also means that I can get stuck in “busy” mode, feel a little frazzled, and then feel bogged down by my over indulgence in the non-stop sugar that pummels my house from Halloween to New Year’s day. Amid that busy-ness that the holidays can bring, intentional self-care is essential to really feeling grounded and connected to the people and experiences we treasure. 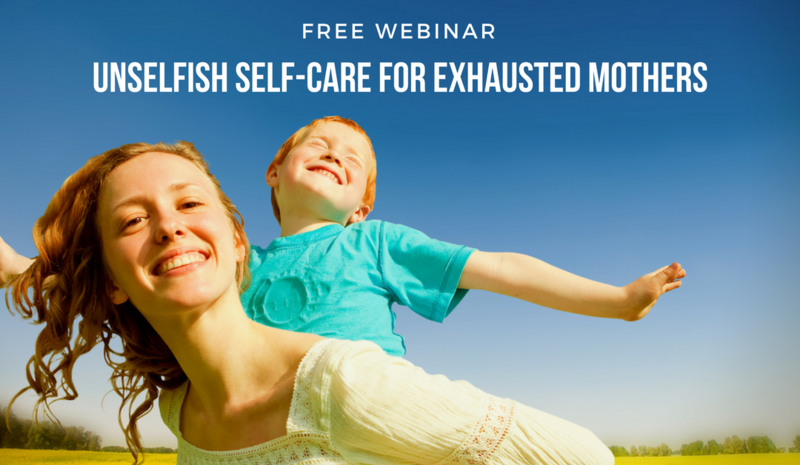 That’s why I’ve put together an hour long webinar workshop for all my sweet friends called “Unselfish Self-Care for Exhausted Mothers.” It will be Wednesday, October 26 at 2:00 PM Eastern Time. If you’re feeling unattractive, disconnected from your body, self-critical and judgmental, or struggling with patience in your relationships, come learn my tips for creating energy, peace, and contentment— even through the inevitable busy-ness of family life. I want you to enjoy everything about your life! I’d love to share some of the things I’ve learned that really make all the difference in my day to day.